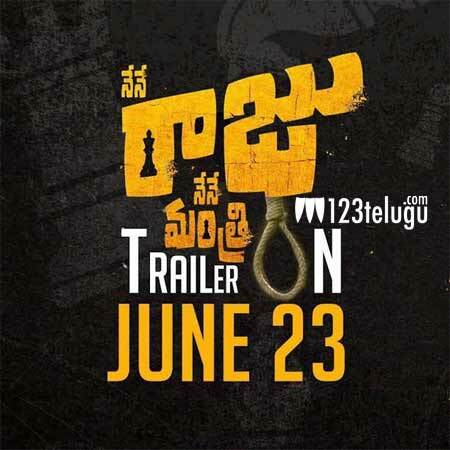 We all know that the theatrical trailer of Nene Raju Nene Mantri will be released tomorrow. The latest news is that the trailer will be attached along with Allu Arjun’s new film DJ which will hit the screens tomorrow. Rana plays a cunning politician in this film which is being directed by maverick filmmaker Teja. The various first looks of the film have been received quite well and we need to see what the trailer has in store for us. This is the first film of Rana which is being released after the success of Baahubali and the buzz for the film is huge. Suresh Productions and Blue Planet are the production houses behind this film which has Kajal and Catherine Tresa as the female lead.